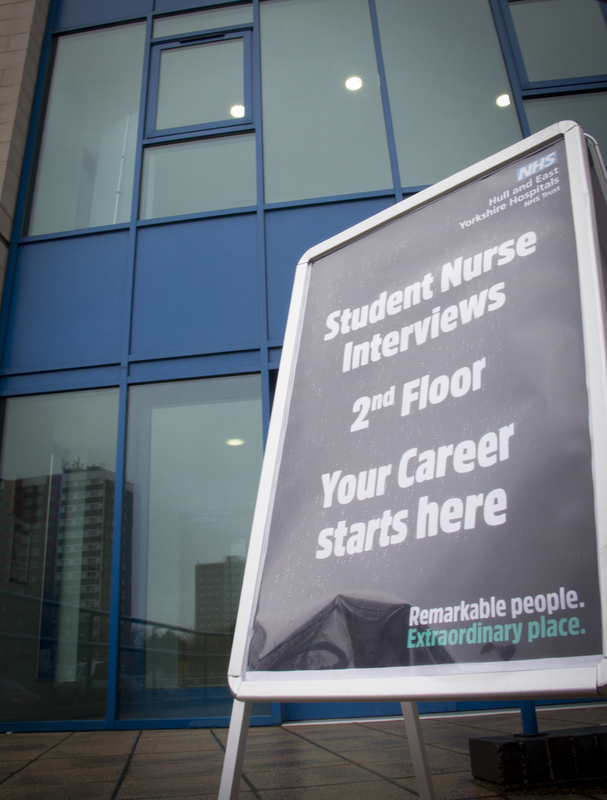 A major teaching hospital is extending its job opportunities to student nurses after interviewing record numbers in the past week. Hull University Teaching Hospitals NHS Trust has offered new careers to around 165 students, set to qualify as adult nurses in September, so far. Now, following the latest success of its “Remarkable People, Extraordinary Place” recruitment campaign, the trust is increasing the number of career pathways open to students to attract more applications. It is also making the application process easier, with students able to select their own interview days and times. Simon Nearney, director of workforce at the trust, said: “We’re opening up most of specialties to student nurses to allow them to experience career paths they may not have considered during their training. “We’re introducing 18-month rotations as an option, where students will spend six months in three diverse areas across the range of hospital services to enable our new recruits to experience the full spectrum of nursing. The trust, which runs Hull Royal Infirmary, Castle Hill Hospital, Hull Women and Children’s Hospital and Hull Eye Hospital, is on course to hire record numbers of newly qualified nurses in 2018/19 to boost existing staff levels. While the majority of applications have come from the University of Hull, applications have also been received from students at universities in Lincoln, Leeds, Sheffield, York, Manchester and Tees-side. As part of the latest recruitment drive, the trust is attending university recruitment fairs and is holding open days to encourage more students to apply for roles upon qualification. Visit https://www.eventbrite.co.uk/e/join-hey-interviews-then-a-career-in-adult-nursing-registration-41457964889 to find out more. Mr Nearney said: “People are attracted by our message that we’re a trust on the up which can offer them first-class training to pursue attractive and rewarding careers. New recruits will benefit from a fully-supported “Let’s Get Started” induction process as they put their academic skills to practical use working alongside fully qualified staff on the wards and theatres.